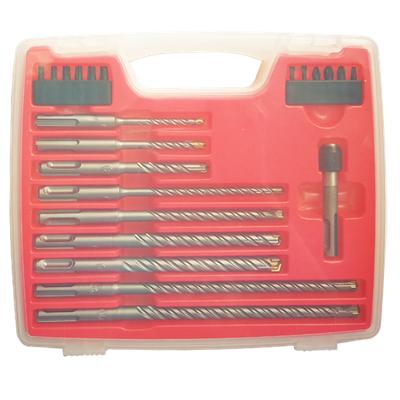 22Pc SDS Plus Drills and Bits Set - Buy SDS Plus drills, drills and bits set Product on Huikang Tools Co. Ltd.
• Professional quality SDS Plus drills. 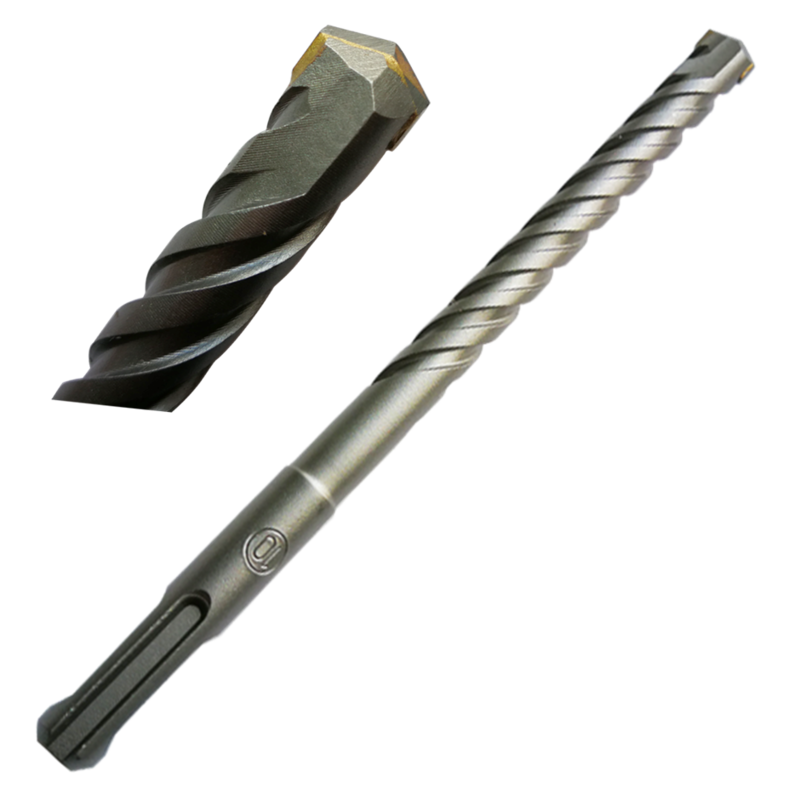 Real PGM certificate / quality drills are also available (special carbide tips for long lifetime, fully automatic welding, PGM and SDS Plus marking on shank). 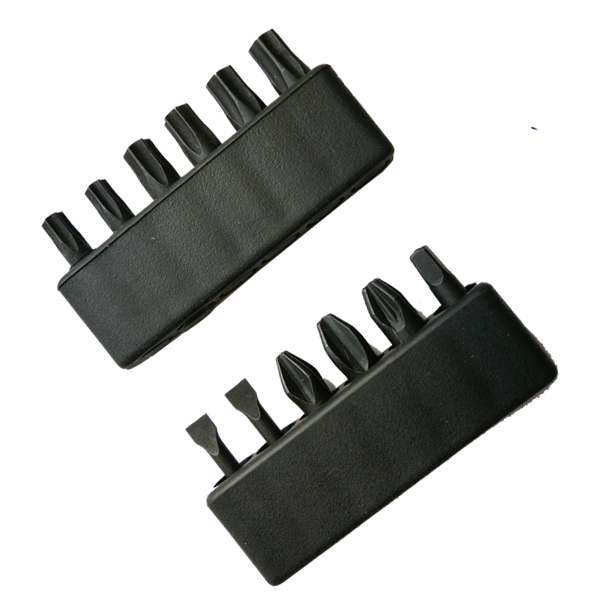 • Combined using with SDS Plus shank quick release bits holder, there are useful sizes screw bits in the set. 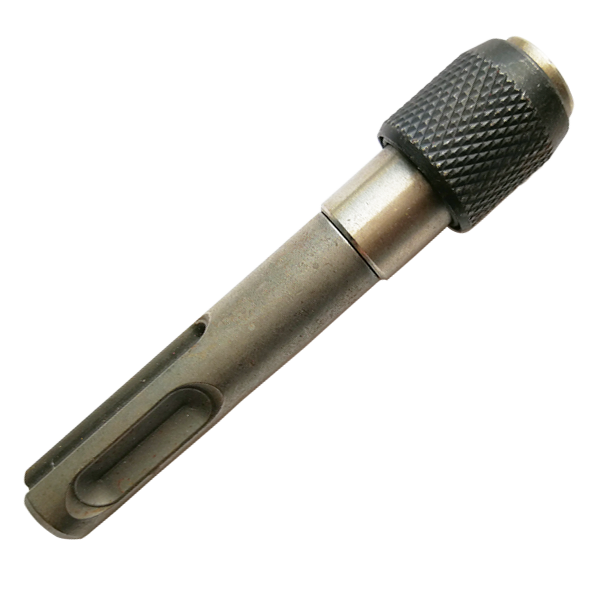 • Packed in transparent PP box. 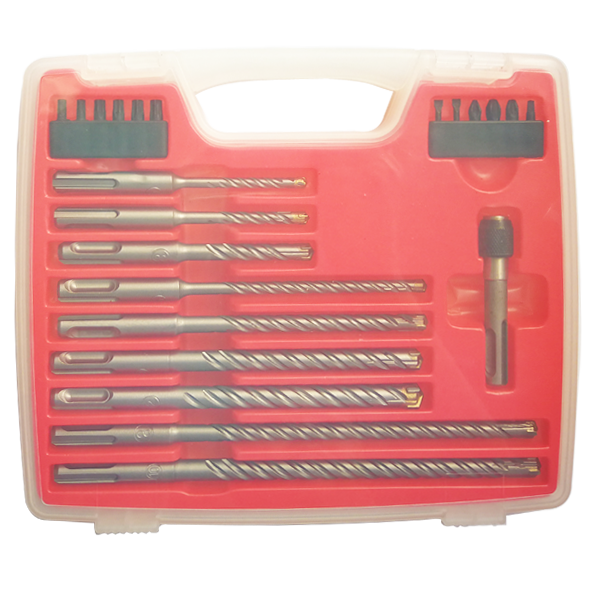 - 9pcs SDS Plus drills, cross-head cutters tips. 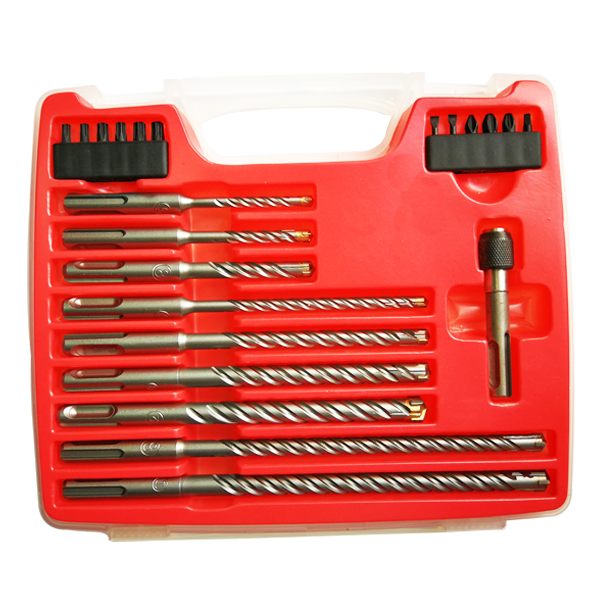 - 12pcs 25mm screw bits: 1/4" E6.3. 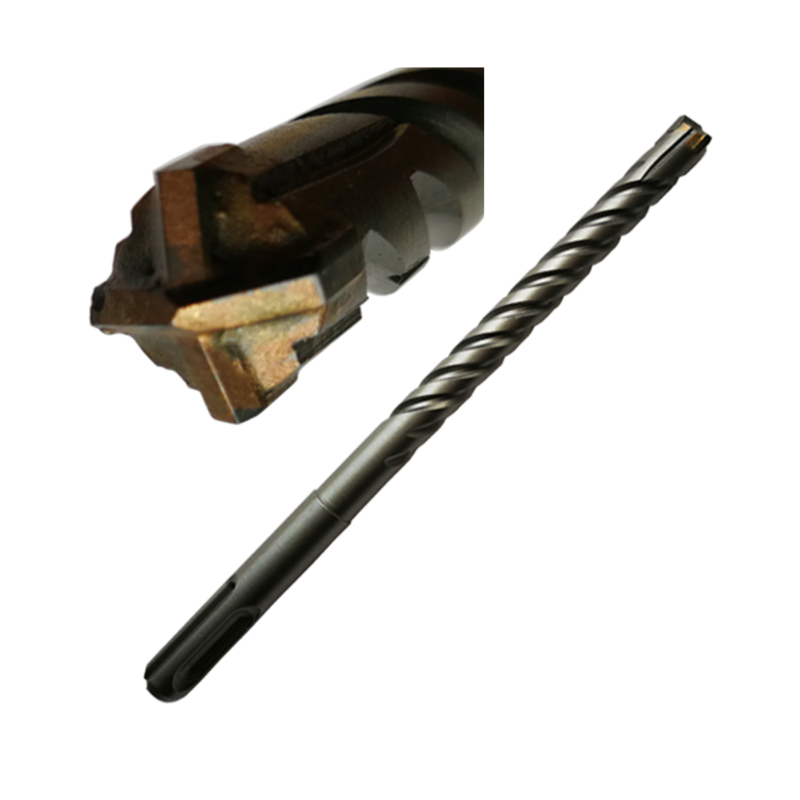 SDS Plus drills are with flat cutter tips.